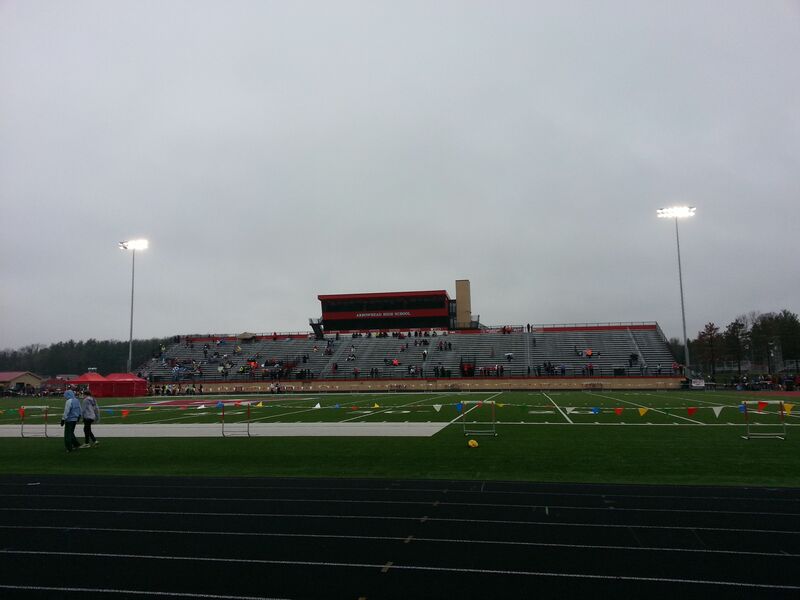 Overlooking the heat sheets and taking into account the gloomy weather I’ll set a brief premise for the meet. On the girls side Dodgeville-Mineral Point comes in the heavy favorite and leads a group of predominantly emerging elites from powerhouse schools. Host Arrowhead has legacy names in their sixth seeded lineup and I wouldn’t be surprised if they finished as high as second. On the boys side Green Bay Preble has it loaded and should be the favorite but not without a challenge from the modestly seeded Middleton Cardinals who will definitely be in the 7:47-7:50 range by state. Fond du Lac might be a darkhorse in the sixth seed. This girls race will be the highlight of the meet relative to state standings. Adding to the clash between Lake Country all stars Isabel Seidel and Arrowhead’s Lea Patek and Jackie Dubnicka you have Jessica Parker of Neenah who recently had the top split (2:17) for the lady Rockets out at the Penn Relays last Saturday. Despite the cold rain this race will be won in 5:01. Predicted winner: Jessica Parker. On the boys side defending indoor TFA mile champ, senior Ben Bierman of the Arrowhead Warhawks will use this meet as a send off and tune up for things to come. 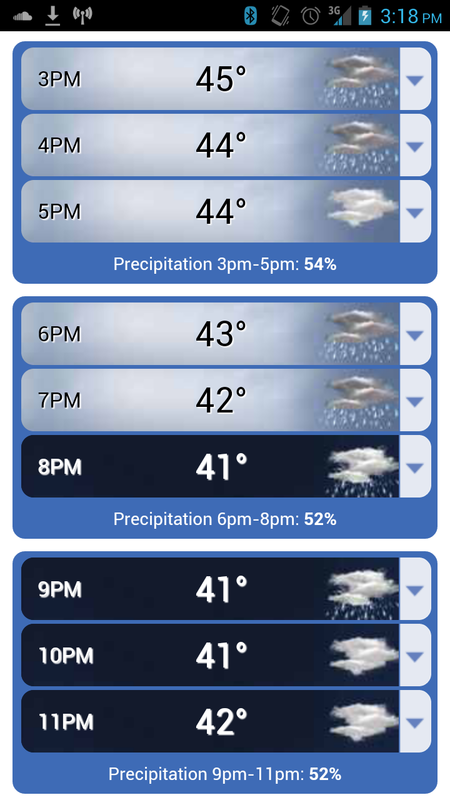 Predicting a negative split 4:19 regardless of rain and cold. He’ll be challenged by Waukesha North senior Lane Geisness who is always a factor. Darkhorse is Taylor Floyd-Mews of Tosa West. This race will be a launchpad into the championships parts of the season for Arrowhead’s Will Simons and Trevor Wunnicke of Dodgeville-Mineral Point. Jennifer Parker of Neenah leads the incoming seed times and will be the fresh favorite this race. Teammate Claire Knaus will complete a 4x8-8 double with this race and is seeded second. A trio of lady Warhawks led include Patek and Dubnicka – who will double back from the 1600 – and freshman Payton Wesley. Darkhorse is Mary Hanson of Dodgeville-Mineral Point. On the boys side Madison La Follete standout Chandler Diffee will look to improve on his TFA indoor mark of 1:57. Fellow TFA place finishers Nick Freitag of Green Bay Preble and Steven Harris of Middleton (both doubling back from 4x8) will get their nose in there. Watch out for Bierman doubling back from the 1600. With relaxing precipitation and the stadium lights gleaming in the night this race will be ideal. On the girls side headlining individuals are Lauren Cunningham of Nicole, Morgan Florsheim of Shorewood and Alison Parker of Neenah. Darkhorses are Hannah Owens and Marin Cahill of Dodgeville Mineral Point. On the boys side Patrick Campbell of Wauwatosa West holds the captain’s mantle. After his tactical 1000 and DNS in the 3200 at last weekend’s Marquette Invitational he’ll be looking to get after one in the chilled stadium atmosphere tonight and lead a pack of emerging state elites to season bests under the lights. Trevor Wunnicke had a great lead off leg and played it perfectly to hand off in the lead. By the second leg eventual winner Middleton took over. Nick Freitag had a big anchor leg taking the distand third place hornets into a not so distant second by the end of the race. I think I see a high 1:56 in there for anchor Harris which means a 1:55 low perhaps for Freitag. Weather seems to be a non factor. These kids are ready to run. Wunnicke scratches the 16 and joins the 3200 under the lights. 9:44.85 officially for Dodgeville Mineral Point on the girls side, 8:01.89 for Middleton on the guys side. Slow first lap then dubnicka darted to the lead. She maintained a ten yard lad until the last 450 where the three in the chase pack caught her. Seodel had the strongest finish. She looked really good. Floyd-Mews with a big final lap pulls off a mild upset here. Ben Bierman second Lane Geisness in third. The top three separated themselves by the first circuit with Geisness doing most of the early pace work the rest of the way. Headed into the final lap Floyd Mews moved from third to first with just under 300m to go and put a gap on Bierman. Great race! Taking a small second to update the weather status, while bitter cold for an early May day the rain has stopped and the atmosphere will be relaxed and without wind for the second half of the meet. Preble in the 4x1 second was Arrowhead. Pending the final FAT time that might top the Hornets’ previous state best. Jennifer Parker, Jackie Dubnicka and Lea Patek round out the top three. That’ll repopulate the state 800 lists. Chandler diffee wins this one, Jacob Goldberg of shorewood second and Nick Freitag third. A solid group of guys under 2 minutes in this race. Any other quick mile results that you can share from guys like Simons? I am not surprised at all by Taylor’s big race in that he looked so smooth and strong last week at Marquette. His 2:02 looked relatively easy and as if he could keep going. Plus, I think he is more of a 2 miler with his strength. Nice runner and big PR. Official time for the boys 800 was closer to 1:56.4. I disagree as I’m right at the line. Florsheim start to finish. Burant second, Cahill third. Boys up next! Real treat out here tonight. Three man pack at the top after the first lap with Wunnicke, Stahl and Campbell. Wunnicke led the first four laps before Campbell pulled even and then ahead for good in the fifth lap. Finishing order was Campbell, Wunnicke and Stahl. Jake Dubnicka 4th at around 9:36. Coach I didn’t see this until now. If memory serves me right Will Simon’s – who looks so much stronger than a typical sophomore – was back in the 4:30s. He was also in the 800. Will have to wait for official results to get his times.